Wind Speed / Wind Direction / Temperature / Humidity / Rain Gauge / Barometric Sensor / Solar Radition Pyranometer / Leaf wetness / Soil Moisture / Snow etc. - Pyranometer, Wind Speed & Wind Direction Sensor, Ambient Air Temperature, Module Temperature Sensor, Albedometer, Pyrheliometer. 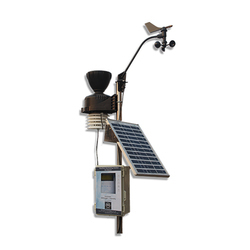 The Weather Station provided by us is very reliable in the entire industry. Electronics is a foremost manufacturer of superior quality weather station. Our weather station is user friendly that provides different information about weather. Weather Data Logger is designed for collecting the values of weather parameters like Air Temperature, Wind Speed, Wind Direction, Humidity, Rain fall, Solar radiation. - Data sending through GPRS to remote server. 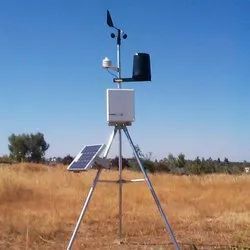 Our organization is well known in the industry, engaged for offering a broad range of Embedded Weather Station to our prestigious clients at reasonable prices. We have been counted amongst the most trusted names in this domain, engaged in providing Weather Station.